PHOTO - 2018 Fuji Shiba-sakura Festival / Fuji Kyuko Co., Ltd. The 11th Shiba-sakura Festival will take place from April 14 (Saturday) to May 27 (Sunday) in the 2.4 hectare fields of Fuji Motosuko Resort at the foot of Mt. Fuji with around 800,000 flowering plants in bloom. The festival will be hosted by Fuji Kyuko Co., Ltd. 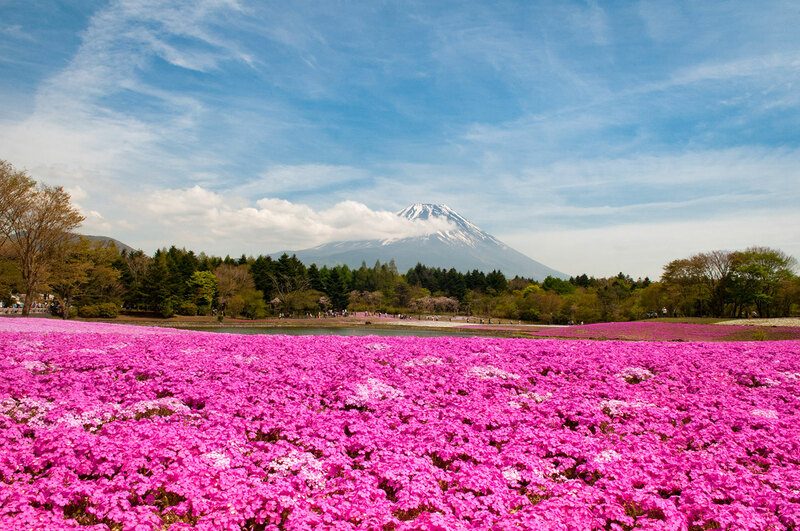 These flowering fields with snow-capped Mount Fuji towering in the background have become a popular symbol of springtime and were named by CNN as one of “Japan’s 34 most beautiful places”. 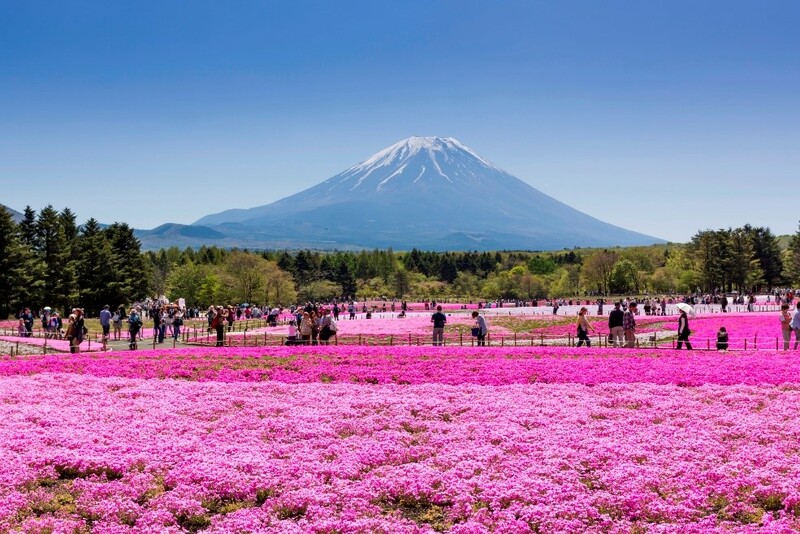 Festival attractions include a Mount Fuji mound carpeted in pink and white shiba-sakura blossoms and the Pink Sea, a vast field of vividly pink McDaniel’s Cushion blossoms (a variety of shiba-sakura). 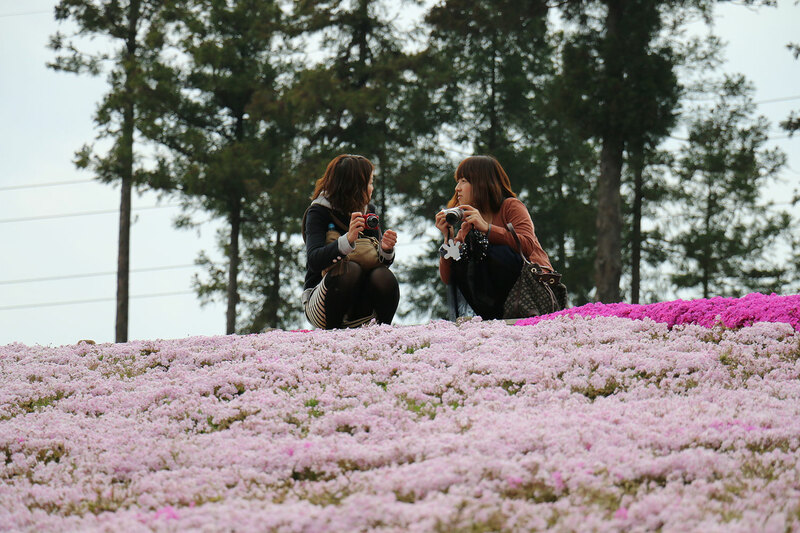 Shiba-sakura are ground-hugging moss phlox that overflow with flowers around the same time that sakura cherry trees bloom. Festival revelers can feast their eyes on wide-ranging blossoms from cherry trees, eight varieties of shiba-sakura and nine other species of flowering plants. When it becomes time to rest, visitors can soothe their tired feet in the healing waters of Panorama Footbath and fill their empty tummies with local foods, Japanese sweets and other photo-worthy dishes at the Mt. Fuji Delicious Foods Festival concurrently held at the same venue. Souvenirs will be available, including many shaped like Mt. Fuji or colored in shiba-sakura pink. The Mt. Fuji Busking Festival will also be taking place on the premises with talented street performers providing hours of entertainment on certain days. Express buses will run directly to the venue from the Shinjuku Expressway Bus Terminal in Tokyo during the festival. Don’t miss this chance to experience unforgettable beauty during your Songkran holiday in Japan! For more information, please visit the 2018 Fuji Shiba-sakura Festival homepage.